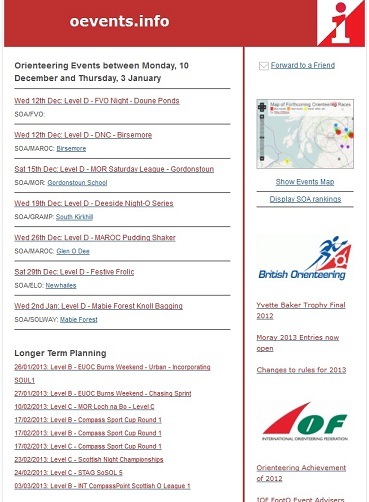 Complete the form below and start to receive weekly emails with details of upcoming orienteering events near you. Events included are all Level C & Level D in your region, all Level B in your region and in your neighbouring regions and all Level A events, UK wide. We can also provide club specific fixture lists by email. These need to be hand-crafted to suit. If you want one for your club please email us and we’ll work with you to define the list you need. As an example the SOC listing includes WIM, WSX and SARUM level D events as they tend to be close enough to matter to SOC members even though they are in a different region. Your email address will not be shared and will only be used to send you the email newsletter you have subscribed to. Every email you receive from us will have an option for you to unsubscribe.